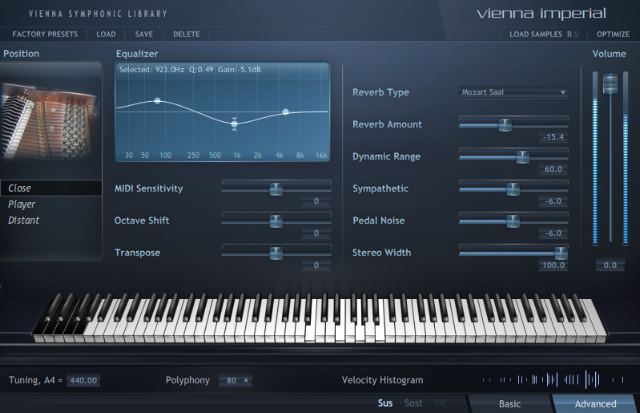 Vienna Imperial by Vienna Symphonic Library (VSL) is a Virtual Instrument Audio Plugin. It functions as a VST Plugin, an Audio Units Plugin and an RTAS Plugin. 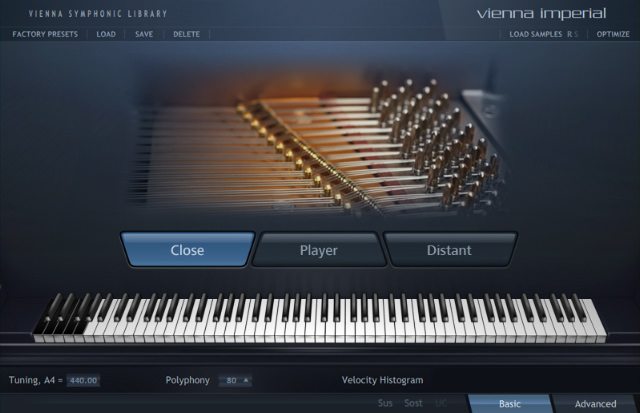 The Vienna Imperial is the Vienna Symphonic Library's virtual grand piano plug-in instrument. The venerable Bösendorfer Imperial 290-755 that the VSL team hosted at the Silent Stage for two months was equipped with the famed piano manufacturer's CEUS technology, which allowed for precise and extensive piano sample recordings. 1,200 recorded samples per key represent a magnitude of sampling detail that has been unthinkable up to now, according to VSL. 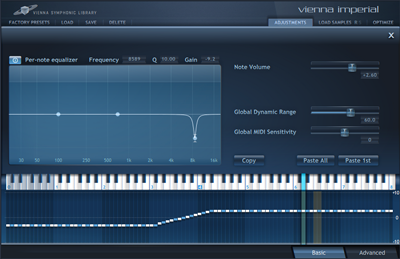 The implementation of meticulously recorded pedal-up and pedal-down notes in up to 100 velocities, comprehensive sympathetic resonances, and multiple release samples make the Vienna Imperial one of the most realistic sampled pianos ever created. No less importantly, the Vienna Imperial is easy to use. The Basic View of the user interface lets you choose between three recording positions (close, player, and audience). 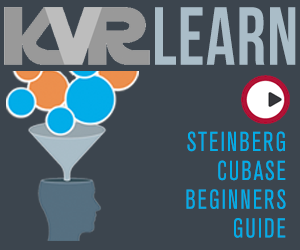 The Advanced View gives you quick and easy access to more control options such as convolution reverb, EQ, pedal noises, sympathetic resonances, stereo width, MIDI sensitivity and more. But don't get fooled by the slick interface – under the hood is a new proprietary piano engine that has been specifically designed to drive this massive amount of sample data and processing power. Over 69,600 samples and 58 GB of sample data in 44.1kHz/24-bit (46,8 GB download size). Up to 100 velocities and 1,200 recorded samples per key. 3 microphone positions (audience, player, close). Easy to use interface with basic and advanced view, velocity histogram, adjustable pedal noises, global equalizer, per-note equalizer and more. Convolution reverb featuring three halls of the Vienna Konzerthaus, algorithmic reverb.